Where is the closest Toyota dealership to me? LaGrange Toyota is located at 1221 Lafayette Parkway in LaGrange, Georgia. Our dealership is centrally placed for the convenience of our customers and services beyond LaGrange to include Columbus, Peachtree City, and Newnan, Georgia, as well as Auburn and Opelika, Alabama. Do people like LaGrange Toyota? LaGrange Toyota consistently achieves near-perfect customer ratings in the areas of Customer Service, Quality of Work, Friendliness, and Pricing, lending to our outstanding reputation for overall buyer satisfaction. Our commitment to honest pricing and focused customer attention is the reason we have been named the #1 Set Elite Dealer in the Southeast Region for two years in a row and a recipient of the Toyota President’s Award for 28 consecutive years. What are LaGrange Toyota’s hours? LaGrange Toyota is open from Monday through Saturday. Our hours are 9am to 7pm Monday through Friday and 9am to 6pm on Saturdays. We are closed on Sundays. 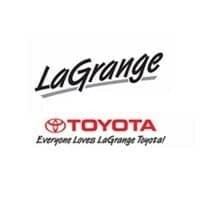 What is LaGrange Toyota’s phone number? LaGrange Toyota is located at 1221 Lafayette Parkway in LaGrange, Georgia. Our dealership is centrally located for the convenience of our customers and services beyond LaGrange to include Columbus, Peachtree City, and Newnan, Georgia, as well as Auburn and Opelika, Alabama.